At Maximum Wellness Rehab Physical Therapy in Toms River, NJ, w​​e are your first line of defense to address Sciatica, the symptoms you may be experiencing. Sciatica is a term that describes leg pain that starts in the lower back and travels to the sciatic nerve. The sciatic nerve is located at the back of the leg. Sciatica can be caused by degenerative disc disease, bone spurs spinal stenosis, tumors and a herniated disc. There are also a number of things that can increase the risk of sciatica. If you have a job that requires that you make a lot of repetitive movements, then you will be more likely to develop sciatica. Diabetes and a sedentary lifestyle can also increase the risk of sciatica. Many women develop sciatica during pregnancy. Hormonal changes, weight gain and a shift in gravity increase the risk of sciatica in pregnancy. In rare cases, sciatica can be caused by an infection. Additionally, the natural aging process can cause sciatica. This condition rarely occurs in people who are under the age of 20. It typically develops between the ages of 40 and 50. You should see a chiropractor if you are suffering from sciatica. Your chiropractor will give you a thorough examination. You will get an x-ray, which can be used to look for bone spurs and spine. A CT scan or MRI may also be recommended, which can be used to look at soft tissues, bone scans, nerves and spinal cord. A chiropractor will adjust your spine by using their hands or a device. They may also use hot and cold therapy in order to reduce inflammation and swelling. Spinal decompression is another treatment that may be recommended. A traction table is used to stretch the spine, which helps alleviate pain. You may have to get several treatments before you get the results that you want. Other treatments that can be used to alleviate sciatica pain is physical therapy and massage therapy. If you are interested in getting chiropractic care, then you will need to contact Maximum Wellness Rehabilitation. You do not want to wait until you can no longer bear the pain. We can help you get rid of the pain so that you can return to your normal activities. 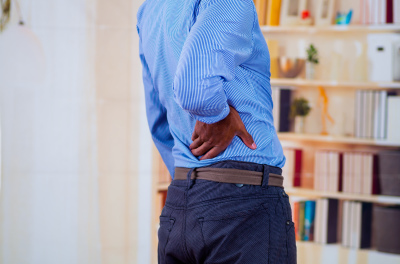 ​​If you are suffering from Sciatica, or any of its sympomts, call Maximum Wellness Rehabilitation in Toms River today! (732) 818-1999 or click here​ to Book Your Appointment Today.